The IFSA have seen immense benefits since introducing our members to the coaching pathway. Having a structured coaching approach we provide for a future generation of anglers guided in a manner that will benefit the angler, our sport and recreation. Anglers can follow the pathway to be coached to the level of participation they choose. Express your passion for angling and get involved whilst…….. 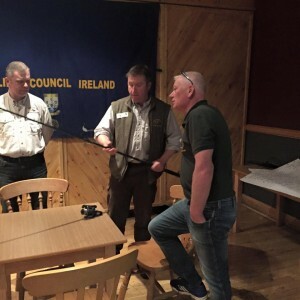 The first recognised all discipline angling certification for Ireland recognised by Sport Ireland introduces strategies developed by Coaching Ireland in partnership with the Angling Council, brings angling coaches in line with all other sports across the country. The Introduction to Coaching course is aimed at introducing newcomers to angling coaching delivering the entry disciplines required to supervise anglers of all ages on the bank in the assistant coach role. During this one day course we open debate on adult learning styles, motivation and the role of the coach. The concept of structured learning, reflection and feedback systems is introduced along with sessions on child and vulnerable adults welfare, disability and health & safety. These modules are available to all Assistant Coaches wish to increase their skills but are essential for those wishing to gain Level One – Angling Coach certification. Coaching Anglers with a Disability is essential for the safe supervision of the less able and those with special needs. This one day course combines time in the classroom but involves a lot of practical activity on the bank working with volunteers from the local community. A must for those supervising events by or on the water is the Water Safety Training. In the morning we are in the classroom and cover sessions on risk assessment & management including a detailed review of buoyancy aids. The afternoon is on the bank and covers defensive swimming, throw rope rescue and safe wading protocols. Together with Coaching Ireland the Angling Council have agreed a mechanism for recognition of coaching qualifications certified outside the state. Across the EU national coaching bodies have their qualifications benchmarked. 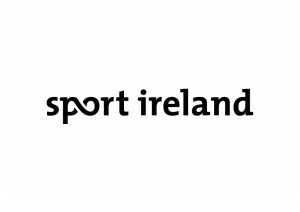 Coaching Ireland and First 4 Sport are two such bodies. Anglers certified by any of the national bodies benchmarked in the EU can have their qualification recognised by the Angling Council. Anglers who hold the Level 2 with 1st 4 Sport may receive the ACI Angling Coach certification on completion of the two CPD’s Coaching anglers with a disability and Water Safety Training. Graduated from the Coaching Ireland Course at Limerick University our panel of tutors provide representation from our affiliated federations; Tom Lillis and Brian Cooke, IFSA; Der Casey, NCFFI; Bod Seward, Myles Kelly and Brian Mohally, SSTRAI.